As the year comes to a close, it’s an opportune time to reflect on the twelve previous months, think about all you have accomplished and be proud for a few moments before you leap headfirst into 2017. At The Center, we are proud of the new website we launched last year and how it has helped to make the tools and resources we have created and collected over the past two decades more readily accessible and easier to search for just the right tools or resources to fit your immediate need. We saw some long-time employees move on to new roles in the industry, grateful they have stayed connected to The Center, and welcomed some new and amazing members onto our team. We said goodbye to long-term board member Jain Malkin, who has served this organization since it started its work almost three decades ago, yet know she will never be far as an emeritus board member. We added almost 1,000 references and 300 key point summaries to the Knowledge Repository thanks to the support of our partners the AIA AAH, ASHE, FGI, NIHD and Research Design Connections. And we launched a fourth room type in the Insights and Strategies tool, connecting evidence-based design strategies to specific spaces in a highly interactive way. These are just a few of the highlights of 2016, for a broader list see this year’s holiday card. Most of all, as the year comes to a close, I want to thank The Center staff and the many volunteers who help bring this work to fruition each year, as well as the sponsors and foundations that support us and make it all possible. And I’d like to thank all of you for your support, engagement and encouraging words as well as your thoughtful critique throughout the year that keeps us going and helps us to continue to get better at what we do. Wishing you all the happiest of holiday seasons, good health and great adventures in 2017. The innovative work that hospitals and health systems do often gets buried deeply in the media talking points about health care reform — if it ever gets mentioned at all. The fact is that many health care organizations as well as researchers and others allied to the field have been advancing innovation at a brisk pace for quite some time now. Care delivery is being transformed while quality is improving in many areas. The operations of many new outpatient clinics are designed to support the Patient-Centered Medical Home (PCMH) model, a concept that was codified by four major physician associations in the “Joint Principles of the Patient-Centered Medical Home” white paper in 2007. Principles include care coordination, physician-directed teams, and whole-person orientation, among others. In addition, many clinic planners have adopted some form of Lean planning to improve various patient care outcomes and create staff efficiencies through eliminating wasteful steps from their operation. There are more than 1,900 retail-based health facilities in the United States, and they treat more than 10 million people each year. The location factor — health care services set in a venue where consumers already go for everyday needs — certainly gives them leverage. 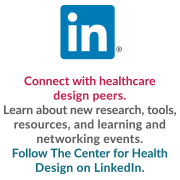 But, as Sarah Bader, principal at architectural firm Gensler, writes in "Retail design strategies for health care," retail health providers have to find new ways to compete in a competitive marketplace. One way to do that, she says, is to create consumer-focused facilities by adopting retail design strategies. Her advice? Be accessible, specific, clear, nimble, virtual and visible. But, are retail health clinics the only ones that can benefit from this strategy? Whether a patient is walking into a CVS Minute Clinic or a conventional health facility, all patients are thinking more like consumers as they pay more for their health care with each passing year. Engineers tasked with working on hospital and medical campuses find themselves tackling unique challenges: evolving technology, increased specialization, and maintaining operations while under construction. In this interview, professionals with experience on such facilities share advice on how to finish projects that report a clean bill of health. What's the No. 1 trend you see today in the design of hospitals and medical campuses? Eric Reuther: We are seeing our hospital clients become more interested in providing redundancy for their mechanical, electrical, and plumbing (MEP) systems. This has ranged from more emergency power requirements to more demand for emergency cooling. We are being asked to provide additional redundancy in HVAC systems design so that spaces can remain functioning even throughout a power loss or equipment failure. Larry Anderson: We continue to see the convergence and integration of technologies into the infrastructure of hospitals. For example, data from the nurse call system can be used to collect information on call times. The data can then be used to support a hospital's consumer assessment of health care providers and systems (CAPHS) score. There has been an increase in wireless communications infrastructure within hospitals to support connected medical devices along with patient and family mobile devices. Many connected medical devices can now directly populate the patient's medical record and the hospital's security systems. Save with Early Bird Rates Now Through December 31! With educational opportunities and strategies in creating functional, attractive design for senior care environments, you’ll gain valuable information, benefitting you and your entire organization. The conference sessions offer just-breaking information, case studies, and research findings addressing topics relating to the design of CCRC facilities, memory and dementia care and strategies for these unique living environments. During this unique expo & conference you’ll be among like-minded individuals with common goals and objectives. You’ll be able to discuss with peers what’s been implemented successfully, what roadblocks exist – and any new products or technologies utilized. Hundreds of new innovations and solutions will be on display in the expo hall, with suppliers on hand to answer your questions and demonstrate their products. Gain insight into new aging technologies, and deepen your knowledge of the industry with our ever-expanding group of exhibitors. Meet new vendors, connect with current suppliers, and discover new products specifically created for the design of senior environments. As people live longer and longer, managing the needs of the aging population is more important than ever. Medical and technological advancements are changing healthcare for the better, giving facility designers and medical professionals new ways to provide flexible models of care and help individuals age in place. Access Impact of Aging resources here. Click here to register and use code: HCD16XTP. * this offer is for new EDAC exam registrants only. Certification must be completed within one year of registration (candidates are restricted to two retakes and a 60-day waiting period between exams). Free retake applies only to the second exam. A new outdoor play area of a healthcare facility, featured in one of our member proejcts, eliminates the barriers that kept children sidelined in the previous space, and offers an environment for children to regain their much-needed sense of normalcy through outdoor fun. This tool provides healthcare designers and professionals with patient-centered medical home principles/goals and how environmental, operational and people measures can be implemented to achieve said goal.